Last summer Tony Vincent helped me see emojis as more than just annoying symbols that people use in text messages and social media posts. He did that with a slick graphic that he created and shared on Twitter. In the graphic he featured a game in which students have to decipher school terms based on the emojis displayed. If you want to create a similar activity, you can do so by using emojis in Word. The Emoji Keyboard add-in for Word makes it easy to add emojis to any part of a Word document. 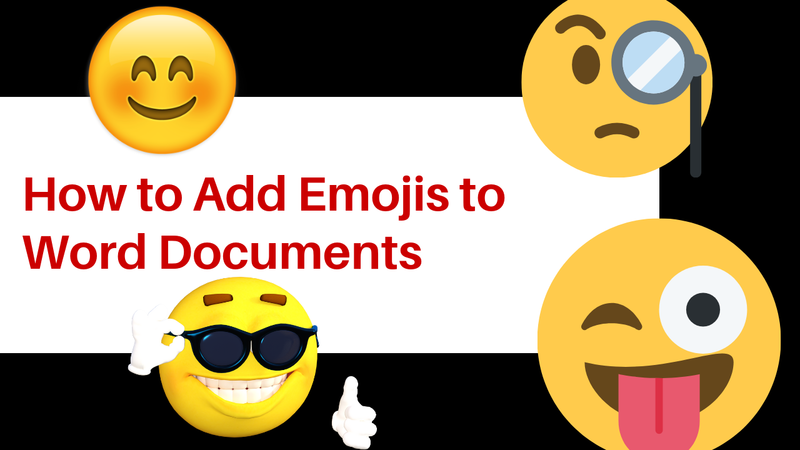 Watch my new video to learn how to add emojis to Word documents. You can also find emojis in Google Documents through the use of the special characters menu. Watch my video to learn how you can easily insert emojis into your Google Docs.